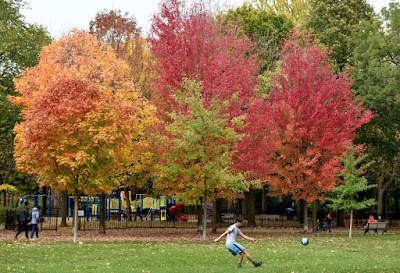 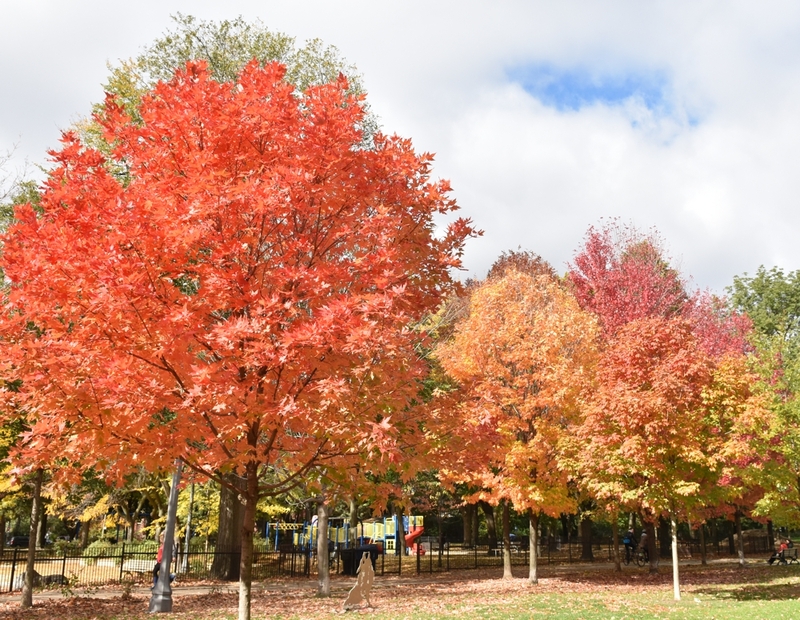 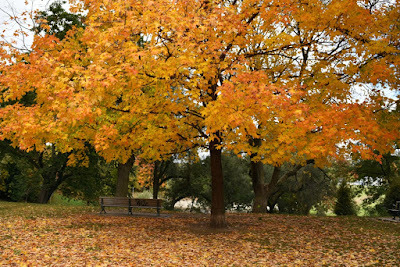 A cool fall day keeps the hipsters out of the Toronto park which, in summer, contains more people than many small, Ontario towns. 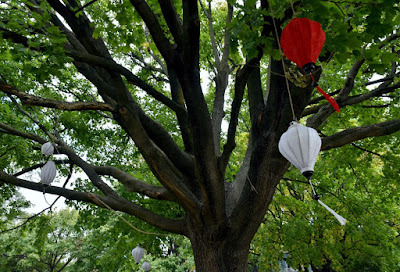 As the changing colours brighten the urban landscape along both Queen Street West and certainly along Dundas Street, the frisbees that used to zip above the picnic crowd are much reduced and the slackliners are slacking somewhere else. 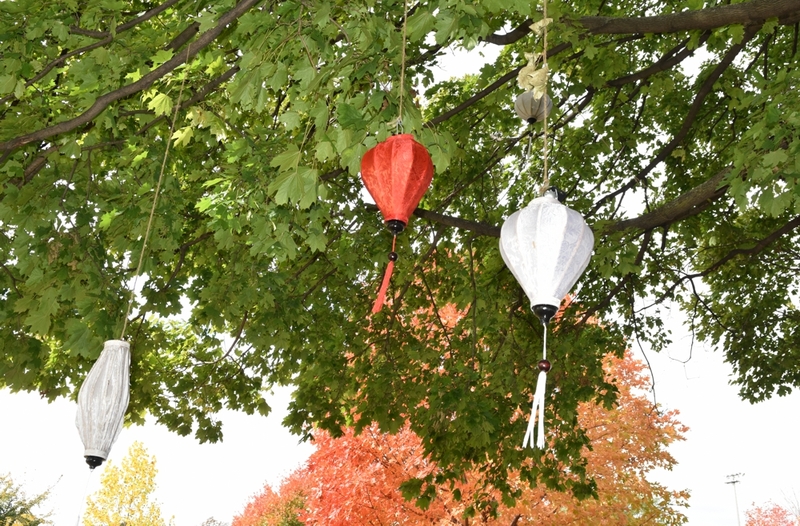 Beside one brightly coloured tree I spy some lanterns hanging from branches of another tree, cut off from their supply of luminous glow and reduced to mere decorations of some more adventurous times. 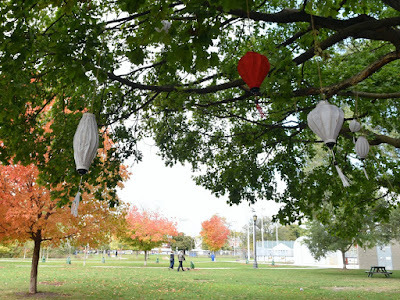 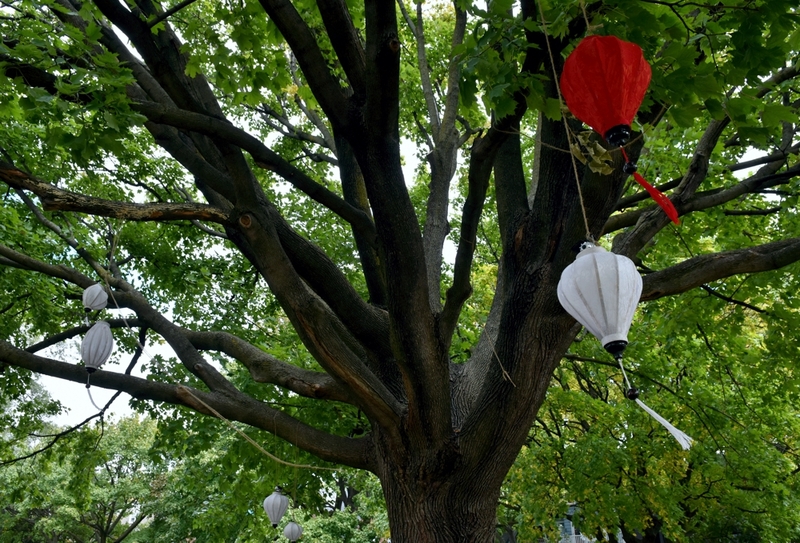 I check the web and it seems lanterns and Trinity Bellwoods is a familiar tale including some past Nuit Blanche magic in the night. Starting in 2012 people released 100 of the lanterns from the park's dog bowl into the night with no sleep. 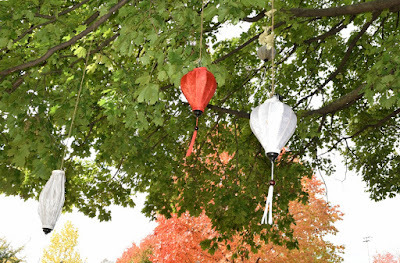 But these ones look like they took some work to put up and too interesting to leave for want of a recycling box, these babies are meant to be used on idylic summer nights in the Big Smoke. 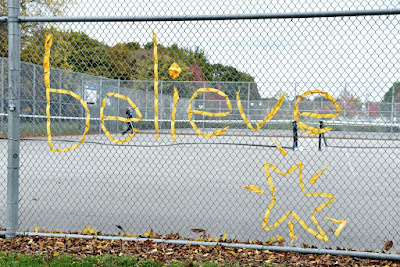 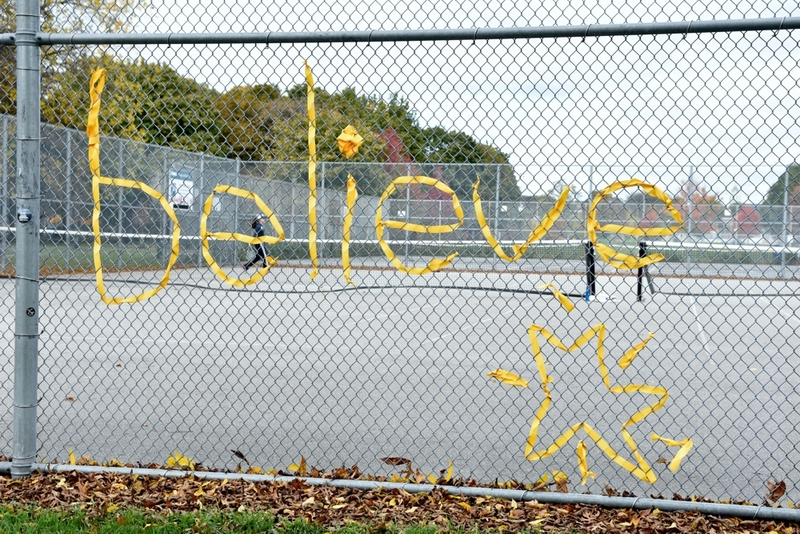 Denizens of the park also like to leave messages on the chain link fences at the baseball field and tennis courts with inspired writing like 'believe' and 'sending out a major love' the 'to my baby' is missing and so is the old 'I miss you', which I do miss.